Many of you got in touch after my Athleisure post published – it seems it ticked a lot of boxes with our current mood. And one trend that has hit the high street in a big way is striped trousers, perfect to adopt for this style. 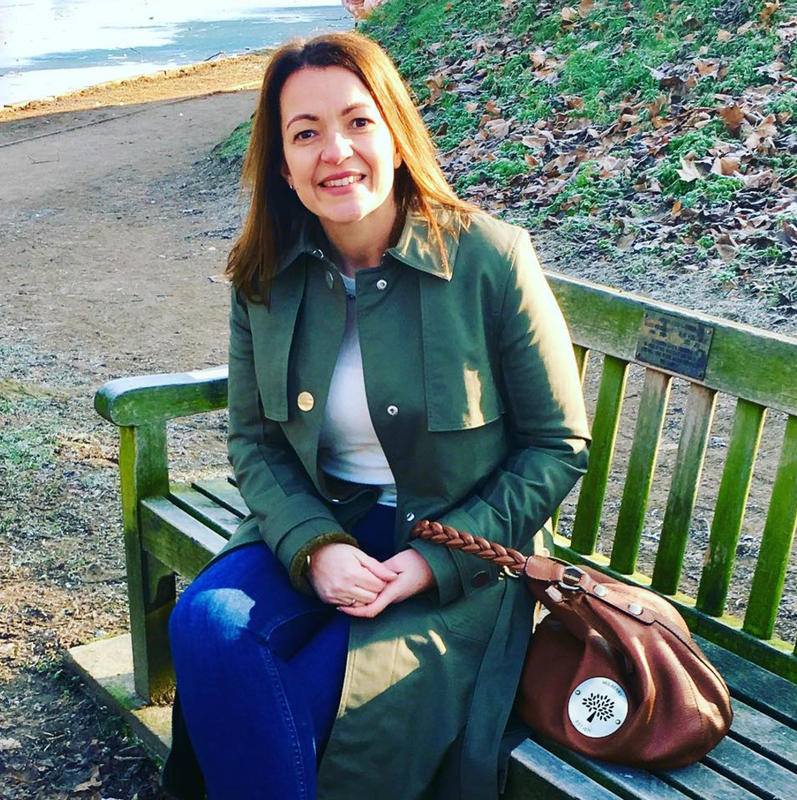 Today I have worn them with my Nikes and my Barbour jacket for a dog walk out in the January sunshine with my mother – they offer such a great ‘relaxed-vibe’ a fabulous alternative to jeans. 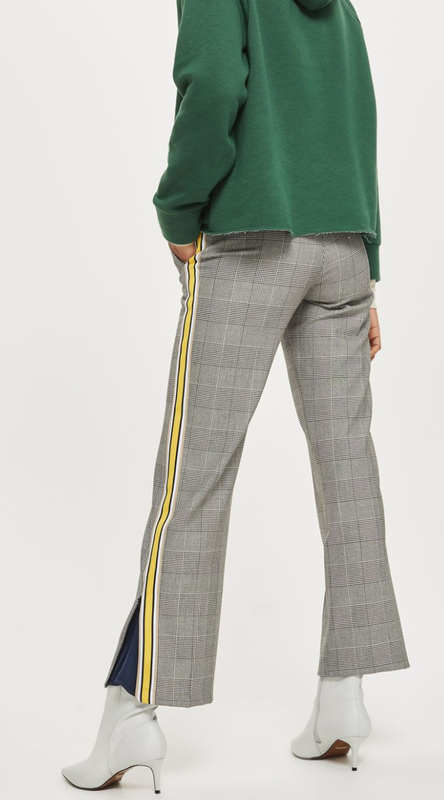 These trousers give you hybrid-versatility – what I mean by this is that you can where them casual like you would trekkie bottoms or you can dress them up as if they were tailored trouser. 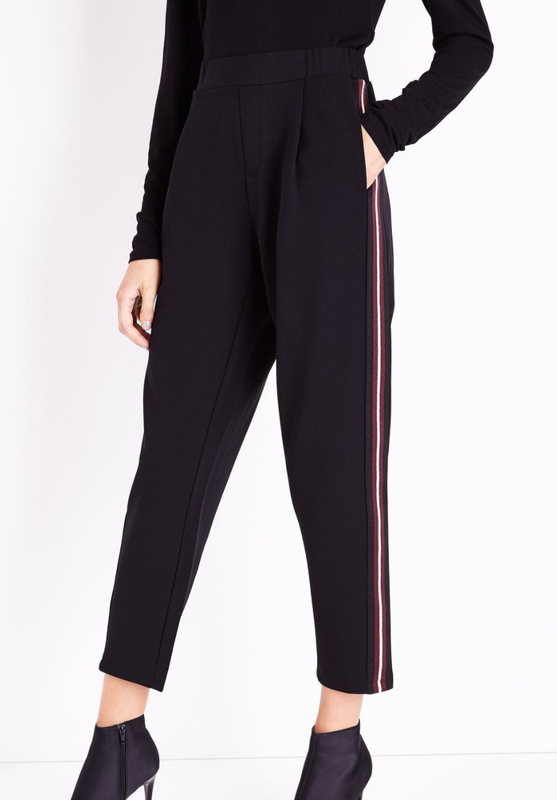 The fabric along with the flat-front design, the mimicking zip-fly and the pockets makes them look like real tailored trousers, but in fact they are a pull-ups with an elastic waistband – so clever! I opted for Large this accommodates a size 14. I now have the choice to dress up or dress down with little inconvenience, these will be perfect for trips into London or on a city break abroad, where you need comfort for travel but style for your destination. And I’m even more happy that my new biker jacket from H&M suits them perfectly! NB: Zara sell them as a turn-up that is stitched in, this made it too short for my regular length legs, maybe by summer I might turn them up, but for now I have had them unstitched and steamed to be a slightly longer length. 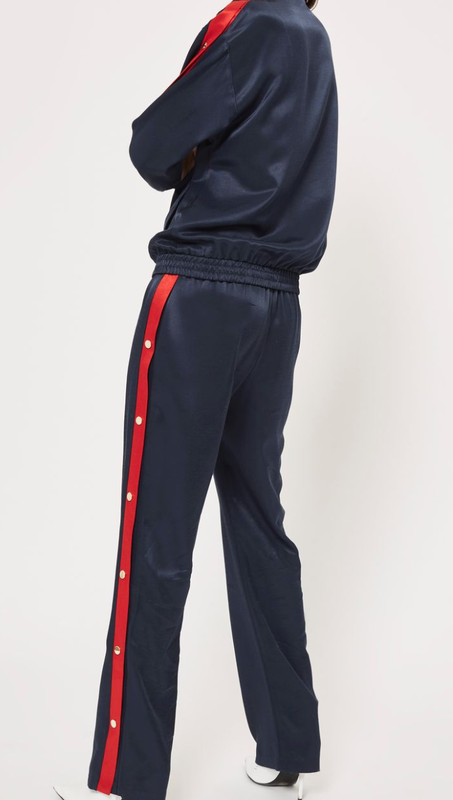 Zara again here offering a more tailored Navy option – with small slits at the ankles – this would be great for the office! 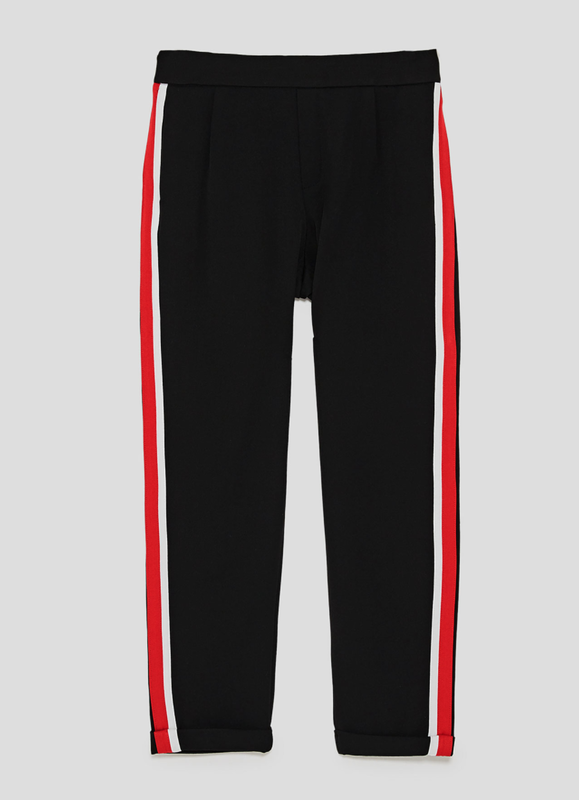 The reason I purchased the Zara trousers is mainly due to this hybrid style that I can adopt to different items in my wardrobe; during my shopping trip I tried on many others, generally from affordable stores like H&M, Topshop and New Look as I wanted to test to see if I liked them. 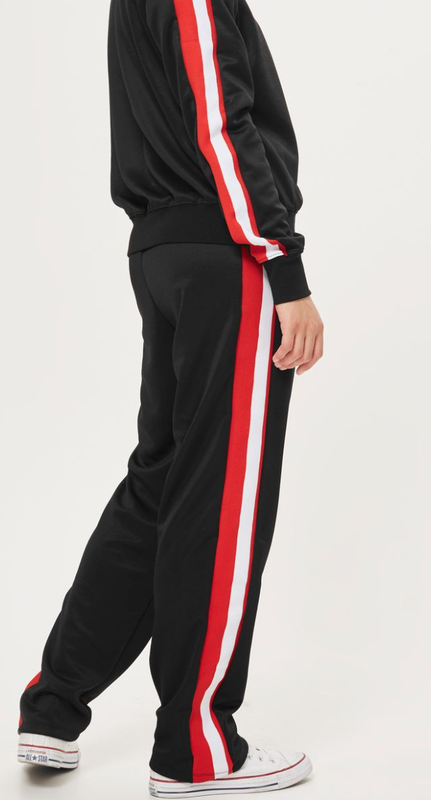 What I noticed with some I tried on the fabrics are in a tracksuit material – and for these you are unlikely to get away with dressing them up, the fabric is not stiff enough and quite often too shiny. I love the yellow and another great option that I think you could get away with in the office – and looking at the website they are selling well. I really loved the colour of stripe of these, seeing as though burgundy plays a huge part of my current wardrobe, and whilst the sizing was true to fit, the material was too shiny, it looked cheap. Now £14.99 is quite frankly the right price, but this image below makes them look a lot better than what they truly are. A great casual trekkie bottom if you don’t want to dress them up. I would love to know what you think of this trend, so do get in touch via Twitter, Instagram or Facebook. It won’t be long until you need to think about your Spring wardrobe; if you’ve not started already! A staple item is The Trench Coat – take a read here of a post I wrote January 2017 that gives you some great tips before you invest. The post Let’s get striped! appeared on Loved by Lizzi first. Previous Post The little black (faux) leather biker jacket for £35!